Warriors were edged by just a single point in an enthralling Gallagher Premiership opener at Sixways against Wasps on Saturday. Warriors raced into a 13-0 lead through two Duncan Weir penalties and a converted Ryan Mills try before Wasps got back into the contest through two Billy Searle kicks to leave the game well poised at 13-6 at the interval. An Alafoti Faosiliva yellow card early in the second period paved the way for a Joe Launchbury converted try but Sam Lewis hit back for Warriors who led 20-13 with just over 20 minutes remaining. But Tommy Taylor’s close-range finish and Searle’s penalty gave Wasps a slender advantage going into the final ten. Warriors threw everything at their local rivals as it went right down to the wire, but Weir’s last-second drop-goal just sailed wide of the upright as Alan Solomons’ side fell agonisingly short. Warriors got off the mark early on with a well-struck Weir kick and the Scotland man added another one after Francois Hougaard’s kick through put full-back Rob Miller under pressure before Warriors won the penalty. 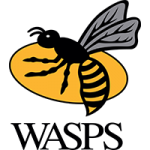 Wasps then had their first real chance deep inside the Worcester 22 but knocked on near the whitewash before the hosts could kick away the danger. 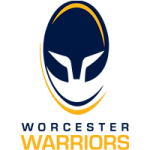 And that miss proved crucial as Warriors soon earned good territory in the Wasps 22, and Hougaard teed up Mills off the back of a scrum for the big centre to crash his way through men and over the line. Weir made it three kicks from three from the tee as Warriors led 13-0 but when Wasps soon had their first shot at goal, Searle wasn’t able to capitalise from 30 metres in front. However, a couple of minutes later, Warriors were pinged for not rolling away and this time Searle made no mistake from 42 metres out. The 2016/17 Premiership finalists seemed to find their stride towards the end of the first period, enjoying good field position and territory which eventually saw them rewarded with another three points from the boot of Searle. Warriors should have grabbed a second try when camped inside the visitors’ five-metre but they were penalised for holding on which allowed Wasps to soon break up field and when Searle’s kick caused mayhem in behind, the referee had to go to the TMO to establish that Josh Adams has just about prevented Wasps from getting their first try on the stroke of half-time. A Faosiliva yellow card early in the second-half for a high tackle soon had Warriors under pressure and the visitors made it count when Launchbury burrowed over and Searle’s conversion levelled proceedings. Fourteen-man Warriors managed to grab the next score though after piling on the pressure in the 22 and it was flanker Lewis who picked up the loose ball to breeze in from the 22 and Weir’s kick made it 20-13. But the visitors fought back once again as Taylor squeezed over in the corner following quick-thinking from Dan Robson. Searle’s 69th-minute penalty edged Wasps ahead before Warriors threw everything at their opponents late on. Weir’s kick for Hougaard had the home fans on their feet as the Springbok looked set to score, but he was brought down five metres short and Wasps recovered to hold possession until the final ten seconds when Warriors forced them into touch ten metres from their own line. And in a grandstand finish, Weir went for the drop-goal, only to see his kick drop agonisingly wide as Wasps edged the contest by a single point. A tough pill to swallow but a point gained by Warriors who head into next weekend’s clash at Sale Sharks with confidence after a fine display that warranted more.